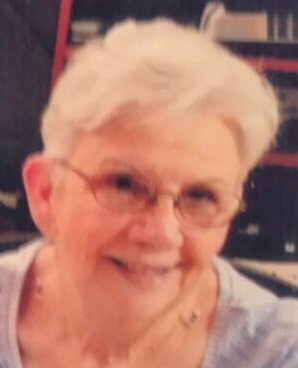 Patricia A. Palmer passed away peacefully after a brief illness March 15, 2019 in Orlando, FL surrounded by her family. Born December 3, 1945 in Lockport she was the daughter of Arthur and Evelyn (Beck) Sitzlow. Patricia worked in production for Harrison Radiator Div of GM for 31 years retiring in 2001. She was a member of the Home Bureau and the Red Hat Society. Patricia loved spending time with all her children and friends, enjoyed crafting, quilting, playing cards, bingo, gardening, and spending her winters in Orange City, FL. Patricia is survived by her loving companion of 25 years, Garry Torriere; her children JoAnn (late Duane) Catanesi, John Ashley, Jim (Christy) Ashley, Jean (David) Ashley-Dake, and Joel (Kellie) Ashley; grandchildren Tyler Catanesi, Brandon Ashley, Nicole Ashley, Amanda Ashley, Nate Ashley, and Nick Ashley; great grandchildren Jordan, Braxton, and Milah; grand dog Buell Dake; also several friends in both New York and Florida. Relatives and friends may call Sunday, March 24th from 1-4 PM in Prudden & Kandt Funeral Home, 242 Genesee St., Lockport where funeral services will be held Monday, March 25th at 11 AM. Interment will be in Cold Springs Cemetery.